For 14 years, the famous Boss FV-300 served as an industry-standard volume pedal. The tradition continued with the FV-50 series, but today the bar has been raised with Boss’ FV-500L (stereo, low-impedance) and FV-500H (mono, high-impedance, inst. level) pedals. These tank-tough diecast pedals are designed to meet the needs of the most demanding customers. 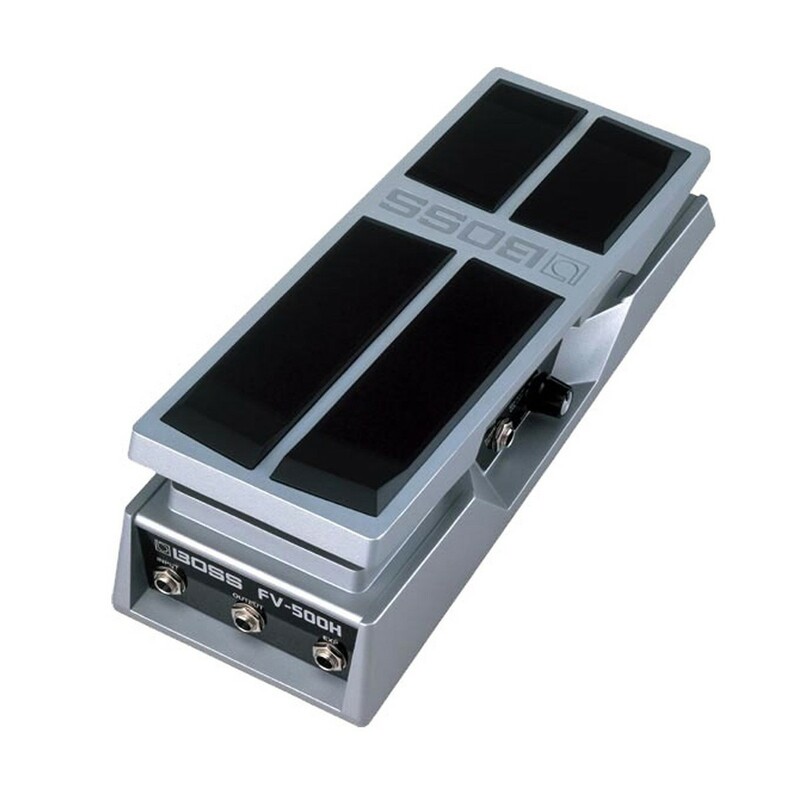 The pedals offer a new stylish design, a road-tough build, and a comfortable, smooth action. Both models also provide an Expression output for use with expression-compatible amps, effects, and even synthesizers.